Enjoy the best inspirational, motivational, positive, funny and famous quotes by Anne Catherine Emmerich. Use words and picture quotations to push forward and inspire you keep going in life! 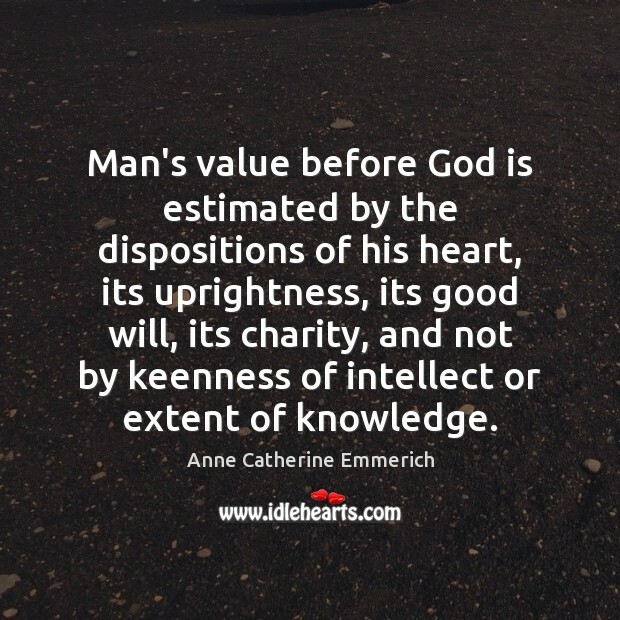 Man's value before God is estimated by the dispositions of his heart, its uprightness, its good will, its charity, and not by keenness of intellect or extent of knowledge. 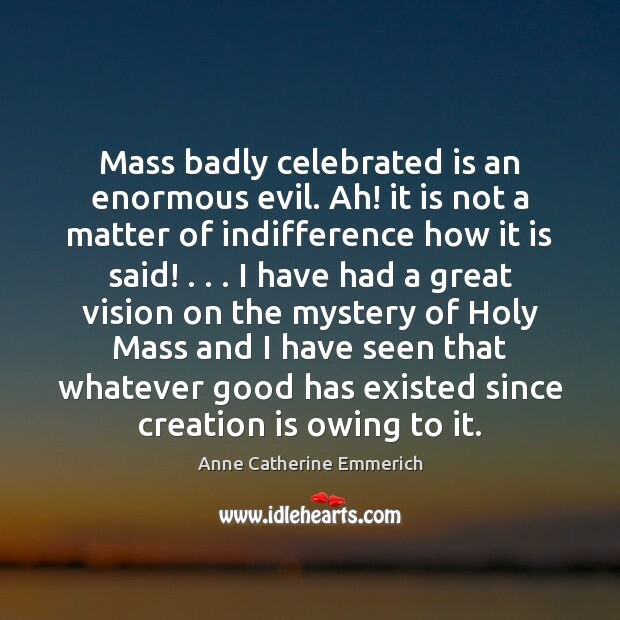 Mass badly celebrated is an enormous evil. Ah! it is not a matter of indifference how it is said! . . . I have had a great vision on the mystery of Holy Mass and I have seen that whatever good has existed since creation is owing to it. The prayer most pleasing to God is that made for others and particularly for the poor souls. 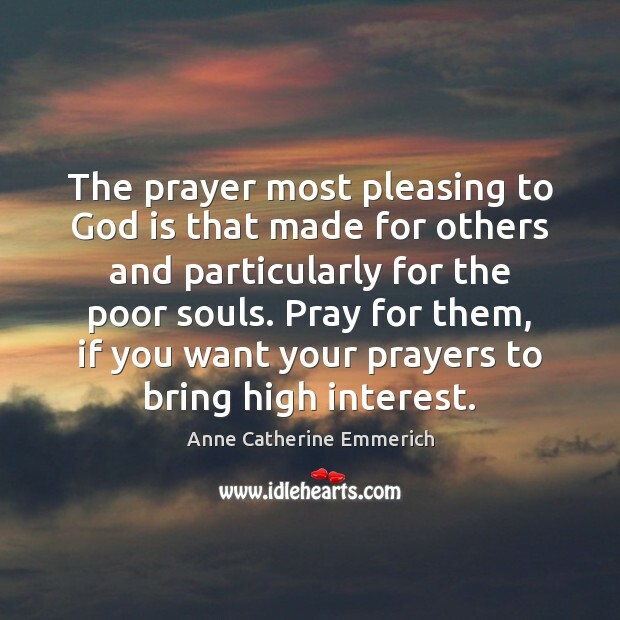 Pray for them, if you want your prayers to bring high interest. I saw also the relationship between the two popes I saw how baleful (evil; harmful) would be the consequences of this false church. 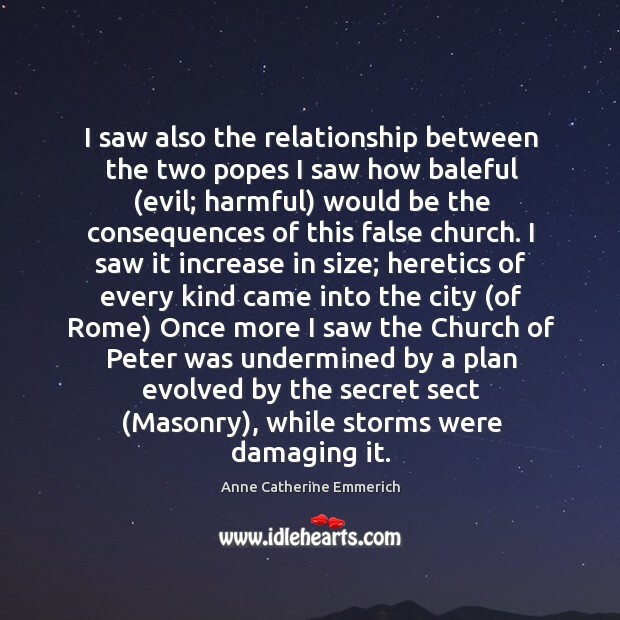 I saw it increase in size; heretics of every kind came into the city (of Rome) Once more I saw the Church of Peter was undermined by a plan evolved by the secret sect (Masonry), while storms were damaging it.